Benkichi OHNO, a famous Karakuri craftsman, lived here in Ohno, from 1831 (Edo period) for the rest of his life. 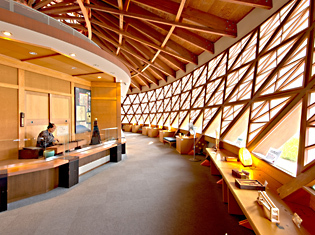 KARAKURI MEMORIAL MUSEUM, founded to commemorate his great achievements, displays a lot of his masterpieces, other than Karakuri puppets and reference works concerning Karakuri in the Edo period. 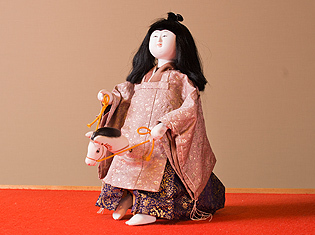 Visitors can try Japan’s unique wooden mosaic puzzles in a designated area and enjoy Karakuri-puppet demonstrations as well. 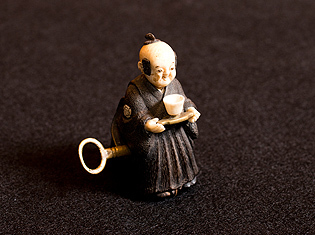 A tea-serving puppet, a masterpiece among Karakuri puppets in the Edo period, is made of wood and moved through the mechanism utilizing a coil spring. 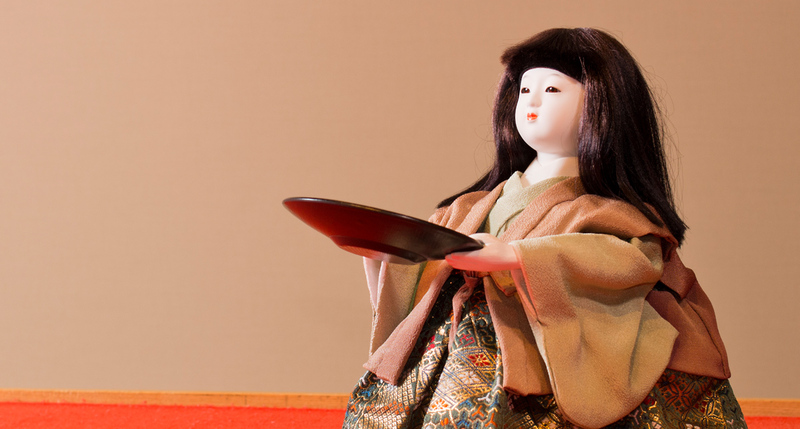 There is no doubt that Karakuri is a prototype of robots today. 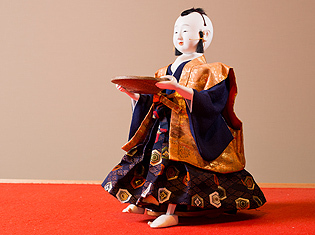 Visitors can observe the mechanisms of the puppets during the demonstration. 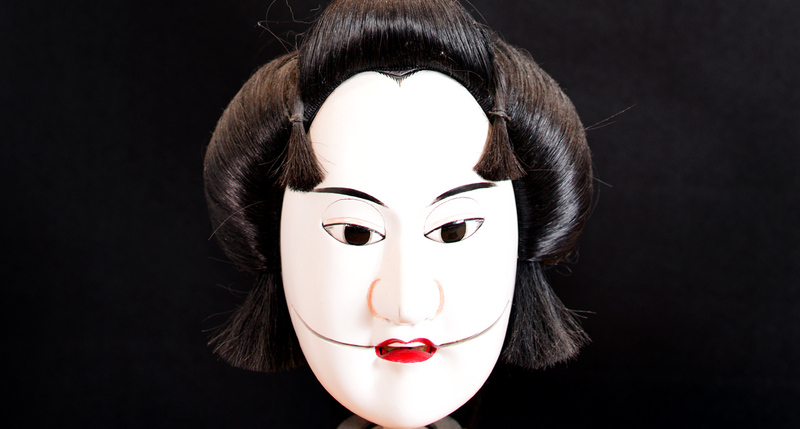 Karakuri is a fatal element for both Ningyo-Joruri or the Japanese traditional puppet theater and Kabuki, from their origin. 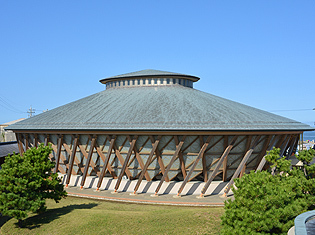 KARAKURI MEMORIAL MUSEUM is the only museum where visitors can experience the “actually moving” traditional Japanese culture, in Japan. 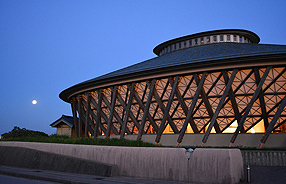 KARAKURI MEMORIAL MUSEUM is a wooden building modeled after a tower and corridors, designed by Syozo Uchii, one of the world-famous Japanese architects; its entire shape is suggestive of Karakuri. 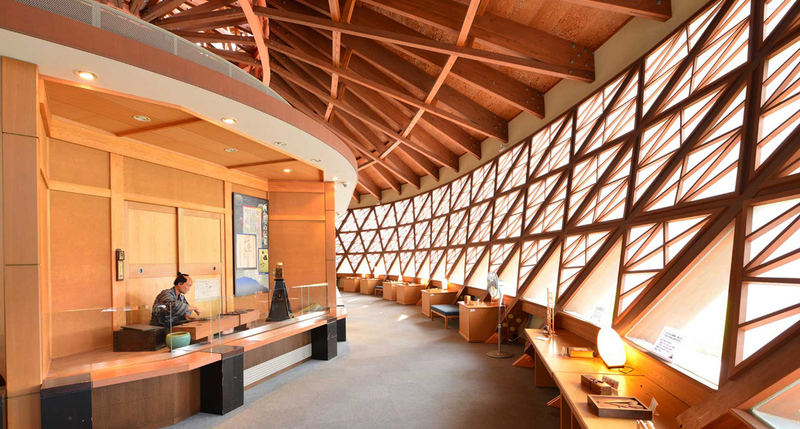 The Japanese wooden latticework, typical in the Japanese traditional buildings, is impressively used in the ceiling of the main building. We hope our visitors will enjoy wood fragrance and wooden space to the full extent. Ohno-machi, or Ohno town, has been famous for soy source since the Edo period; visiting soy-sauce shops will lead you to another excitement of enjoying the traditional Japanese culture, namely Koji-fermented foods. 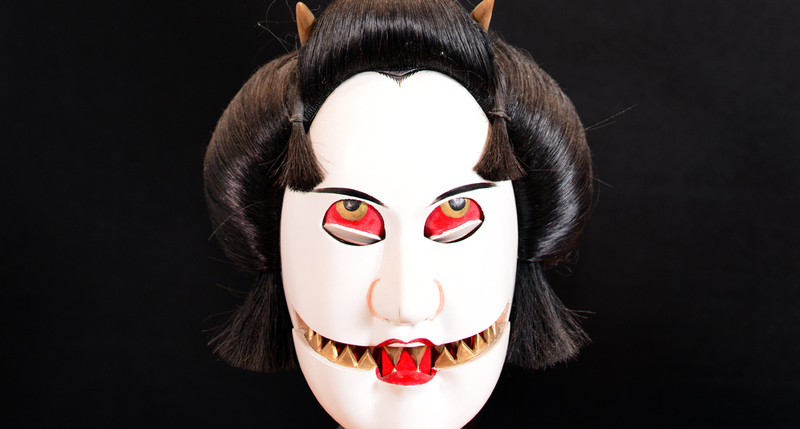 It may take two hours if you wander around the old-fashioned Japanese town without haste. Large-sized cruise ships periodically berth in the Kanazawa Port, adjacent to the town; you can enjoy the atmosphere of a port town as well. 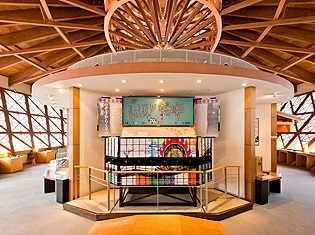 The guide booth in the Kanazawa Station is recommended for the details about the access. 20 minutes by taxi from the Kanazawa Station to the museum, costing about ￥3,000 for one-way ride. Bus “Ohno” or “Ohno Port” to Ohno with 30-minute ride; note that the buses start from “Nakahashi” station, 5-minute walk from the Kanazawa Station. 15-minute walk from “Ohno” station to the museum. We recommend to check the timetable for return. 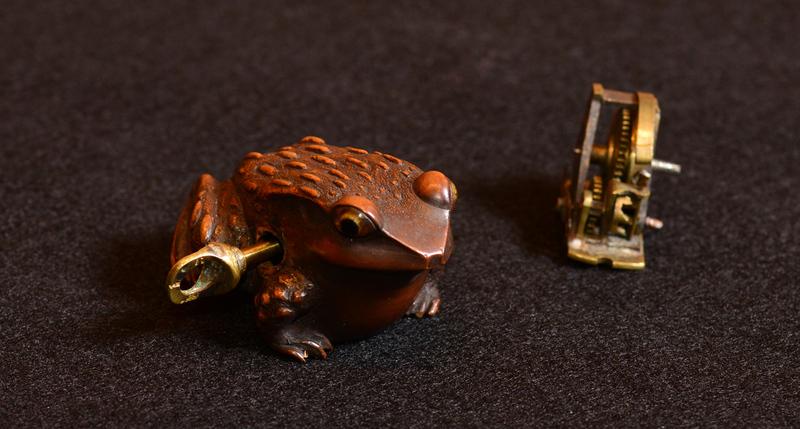 COPYRIGHT © ISHIKAWA PREFECTURE KANAZAWA PORT OHNO KARAKURI MEMORIAL MUSEUM ALL RIGHTS RESERVED.